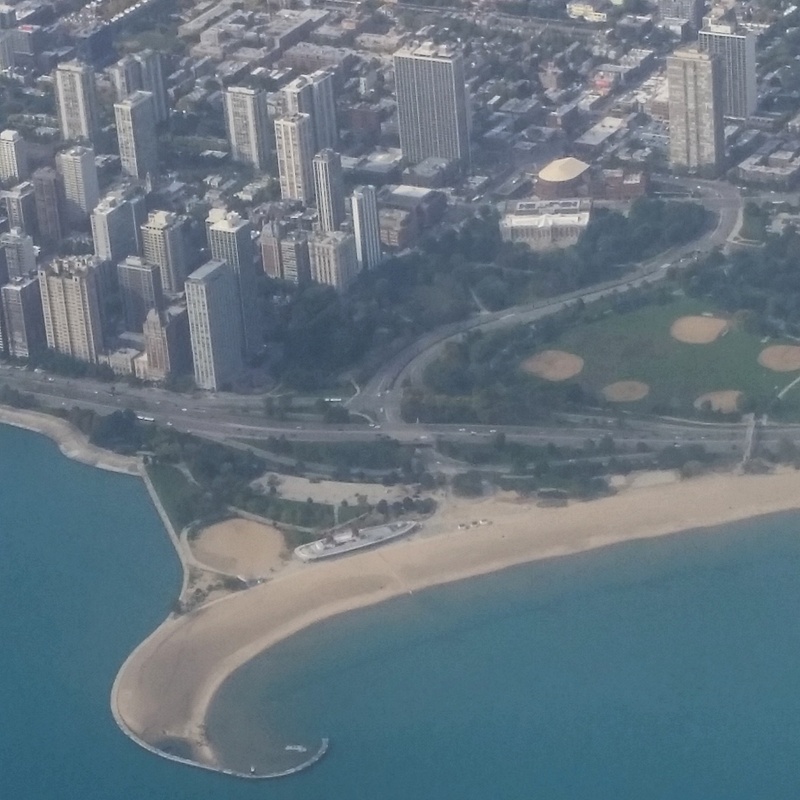 One of the benefits of flying in and out of Chicago is the chance to view the skyline and shore along Lake Michigan. Yesterday I was lucky enough to have chosen a seat on the correct side of the plane and got to enjoy the full spectacle as the plane turned north and followed the shoreline on its path to O’Hare. Knowing it was coming up, I grabbed my phone and prepared to snap a shot of the building everyone comes to see in the city – Castaways beach bar. What did you think I was going to say? Castaways is the boat shaped structure that looks like a long abandoned ship slowly bring devoured by the beach. While it’s about as far as you can get from your ideal Caribbean beach bar, it’s a favorite among Chicagoans and a must stop stop for any beach bar bum to the former second city.